we used half a head of celeriac, which weighed 1/2 lb. a whole head is about 1 lb, so double the ingredients used. but honestly, half a head is more than enough puree for 2 people. unless you want to turn it into a side dish, like mashed potato. i make parsnip puree the same way. 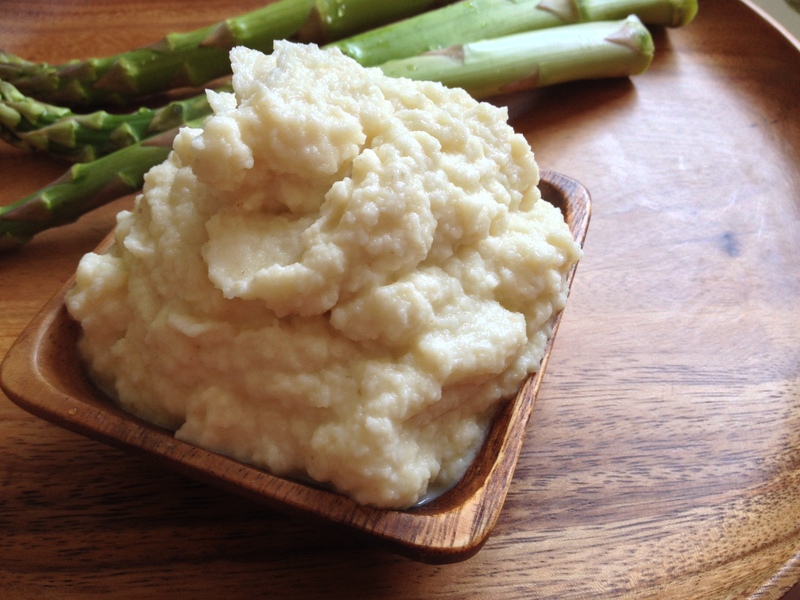 you can pretty much do this recipe with other root veggies to make a rich creamy puree. 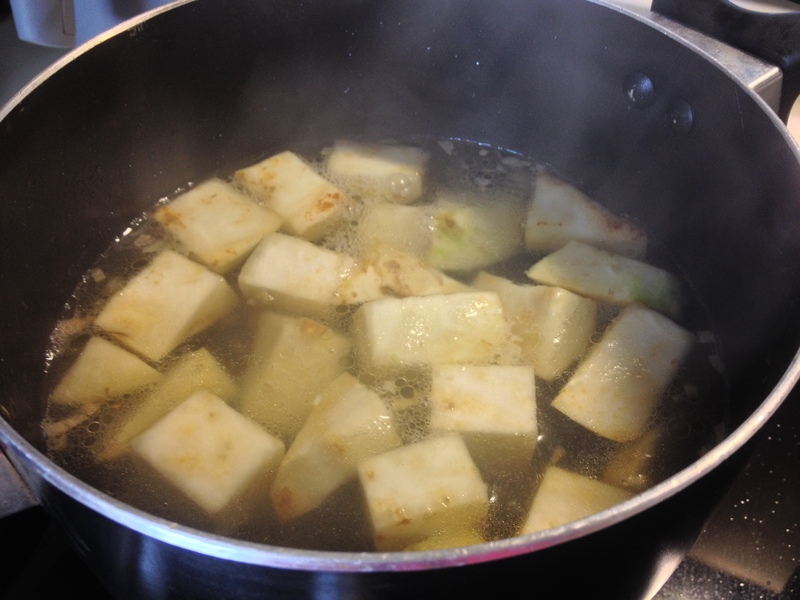 we recently started cooking celeriac, a pleasant surprise for us. I used it once for a cooking competition back in college and it was great. I have been meaning to use it again, and just keep forgetting. Perhaps this will finally inspire me enough to buy some next time I see it. we will certainly use it again next time. hope you do so as well. thanks for stopping by! 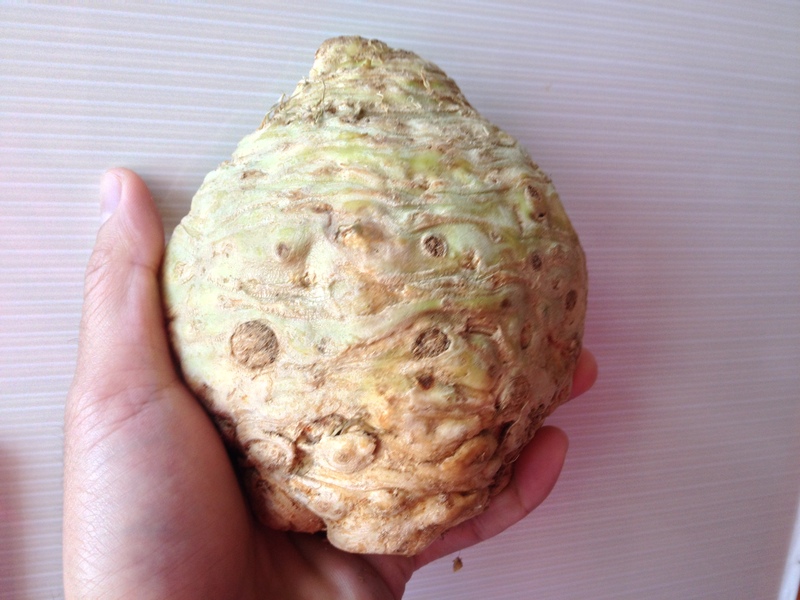 Hi, could you tell me where I could find/buy celeriac in HK? Thanks heaps! Hi, last time we purchased it was at city super in ifc. Should still be there. Great! Do you remember how much you’d paid for it? I think it was around 30-40 hkd for half a root. They have quarter sizes too.